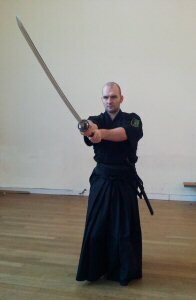 The history of the tanto (correctly spelt tantō (短刀 meaning "short blade", but no one spells it that way for Google!) begins midway through the Heian Period (794-1185). And it was designed to a killing weapon. The Heian period was dominated by the rise of the Fujiwara family and it's control over Japan. But the Fujiwara needed to be protected from the rebels and dissidents who threatened their power and so they increasingly relied upon a professional combatants and soldiers. These men who severed the Fujiwara and other noble families would soon define themselves by that service, they would become known at the end of this period as those who serve - the samurai. With the rise in fighting and the increasing levels of violence the need for personal arms became more prevalent. 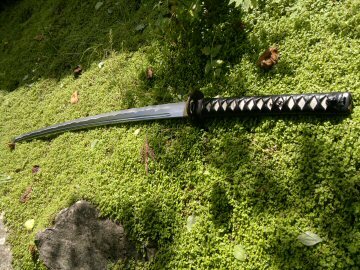 Prior to this the primary personal weapon was the long tachi sword, hung blade edge downwards. Ideal for outdoor engagement but utterly unsuitable for attack and defence within the narrow halls of a home or compound. To remedy this a shorter personal weapon, no longer than a foot in length (one shaku) was developed. 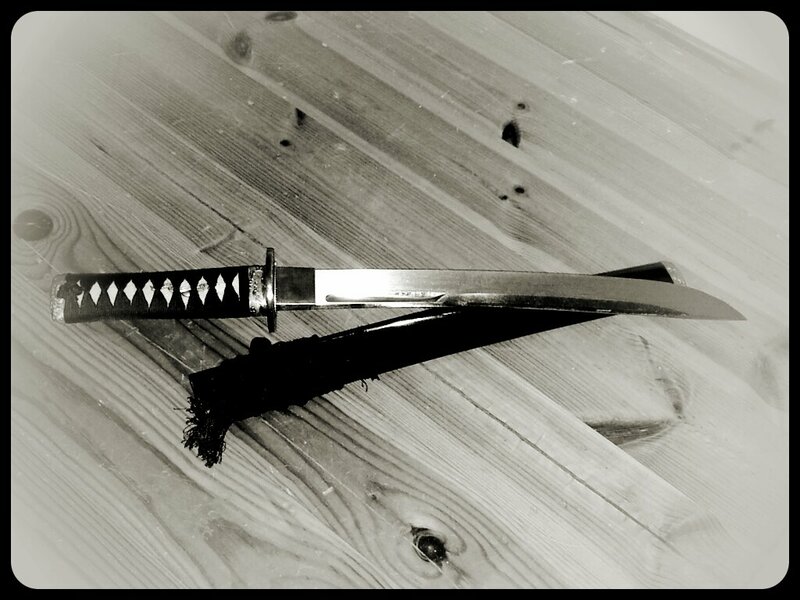 This weapon was thin, but strong, designed to stab and penetrate an opponent's flesh, it was the tanto. Once the Samurai had established military might and the Fujiwara family had been overthrown the first Shogun (military ruler) of Japan Minamoto no Yoritomo (源 頼朝) established a new historical period, that of the Kamakura shogunate ( 鎌倉幕府), (1185–1333). 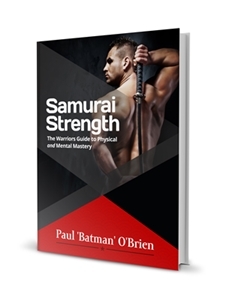 Within his rule the samurai experienced a moment of stillness before the relentless combat that was the hallmark of feudal Japan. With this momentary pose before the renewed civil war and Mongol invasions the History of the Tanto would take a dramatic turn. The tanto took on less of combative function and became far more ornamental in appearance and function. Different blade styles and lengths were developed, including the Nanboku-chō, significant for its longer blade, nearly 40cm. (10cm longer than the standard 1 shaku (尺) /30cm) length. Artisans experimented with different widths, styles of hamon (temper-line) and blade types. 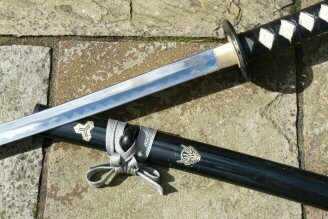 This refinement of the tanto sadly would not last as battle loomed once more. The Kamakura Shogunate fell in 1333 and for the first time since the Fujiwara clan came to dominate Japanese politics the Emperor once more became the leader of Japan, and not simply as a figurehead. This however plunged Japan in to constant war - and the need for weapons rose dramatically. Dispensed with were the ostentatious and artistic flairs of the tanto - replaced with the cruel simplicity of function lethality. 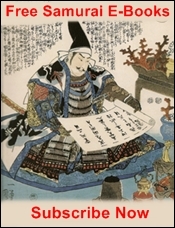 Within 3 years the Emperor Go-Daigo's (後醍醐天皇) attempt to seize military control had failed. 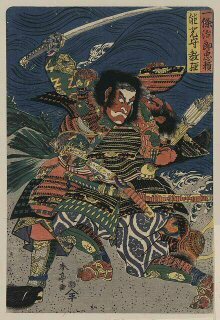 The Muromachi period or that of the Ashikaga era, to reflect the dominance of the Ashikaga Shogun Ashikaga Takauji (足利 尊氏), would lead to constant fighting between the various clans and families of feudal Japan. It is during this period the most violent and volatile time in Japanese military history - the period of the Age of the Country at War (the Sengoku period (戦国時代) would take place. Japan would not see relative peace for 200 years, until the rise and dominance of Oda Nobunaga in 1573 and the History of the Tanto would face in one aspect its lowest ebb. The History of the Tanto is continued in Tanto Knives - here.